Since the release of their “The GREATNESS EP” almost two month ago, I have been bothering Marvell’s manager for an interview with the UK rap trio. Shocka, Double S and Vertex give their insight on whether the deficit of equality in UK and American Hip Hop will ever change, what they have been up to in the studio recently and who they think are the best up-and-coming artists in the UK right now. Marvell FM series, was this is conscious decision? youth to reach for the stars and achieve great thing in life so it all works out well. any plans to follow in Chips footsteps? success for so long without fully making it frustrate you? frustrated at times (Laughs) but we know our time is coming so we’re all right. of any songs you’ve created? colours, designs and sizes on the way. 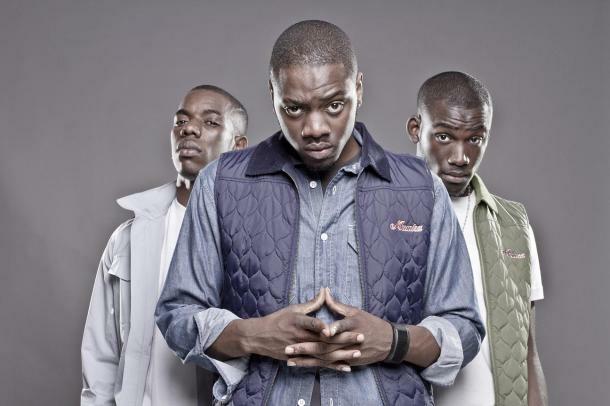 Marvell: Sneakbo, Krept & Konan, Cashtastic, G-Frsh and PW. talented as the likes of Jay-Z, Nas, Eminem etc. from America? If you could collaborate with any artist in the world, who would it be and why? So we officially have a debut album on the way from the Marvell boys, but first head to www.marvellmusic.co.uk and download “The GREATNESS EP“.